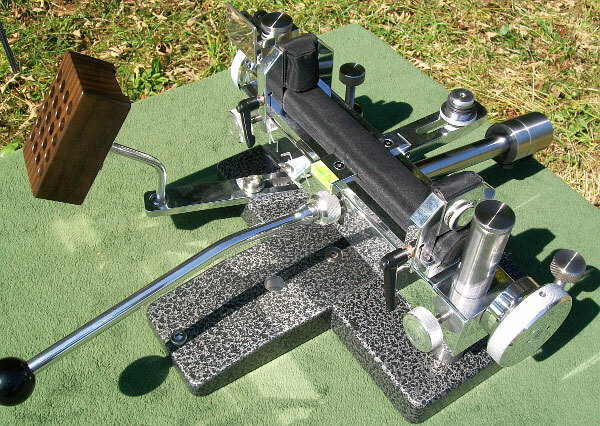 A SEB MAX front rest, with the ability to handle wider rifles, was unveiled today by Forum member Ernie Bishop (aka xphunter). This is a prototype, and production versions will hopefully be offered in 2012. Weighing roughly 35 lbs. 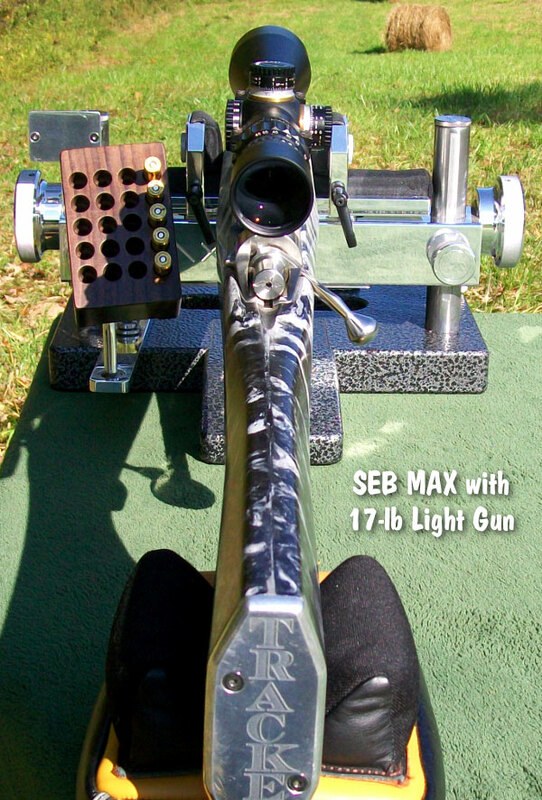 (16 kg), The new SEB MAX rest fits forearms up to 8″ wide. 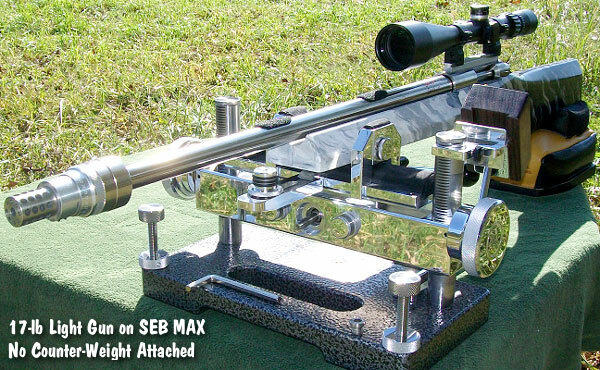 Without side plate assembly and special front bag, the SEB MAX can accept a 9″-wide stock. The Center-to-Center distance between the posts is 300mm (just a bit less than 12″). 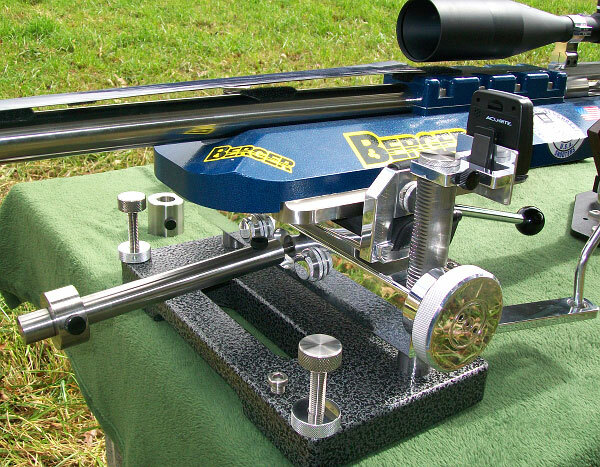 This makes the SEB MAX 100 mm wider than the SEB NEO, allowing for 275mm clearance between posts. The bottom plate of the top is 265 mm long (almost 10 1/2″). The side plates assembly with side bag is about 1.25″ thick. Net space is approx 8″ . 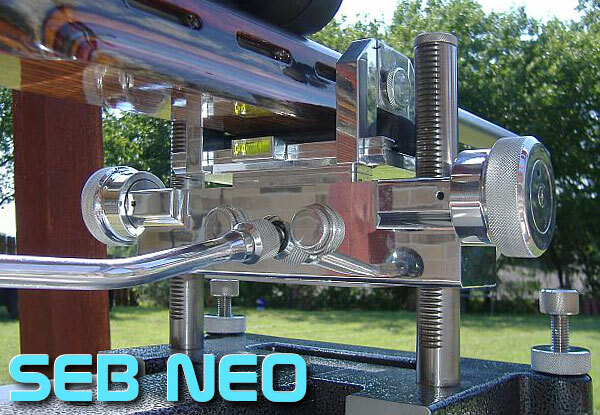 Posts and height are the same as the SEB NEO, which already has a huge amount of elevation travel. For more info, visit www.SEBCoax.com, email Ernie Bishop at ernieemily[at]yahoo.com or call Ernie at (307) 257-7431. 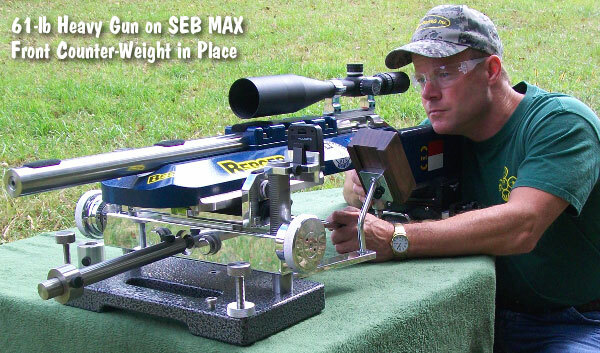 Ernie is the U.S.A. distributor for SEB products. 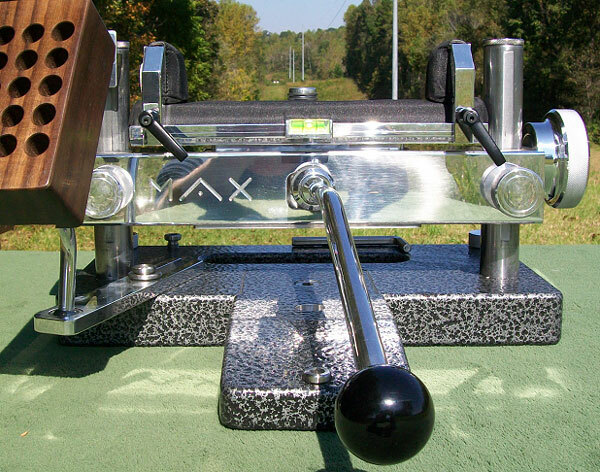 Ernie Bishop reports: “The new SB MAX is very smooth! I have used it out to 1000 yards so far and am very pleased. I do not know the price yet.” For more information, read this FORUM thread. 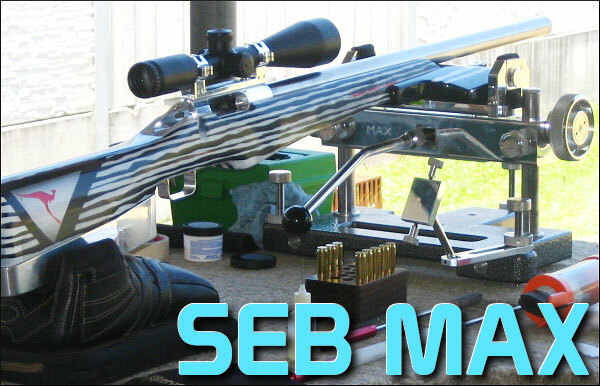 As set up in the photos below, the SEB MAX is set for the 6″ forearm on Ernie’s 7mm WSM specialty benchrest pistol. 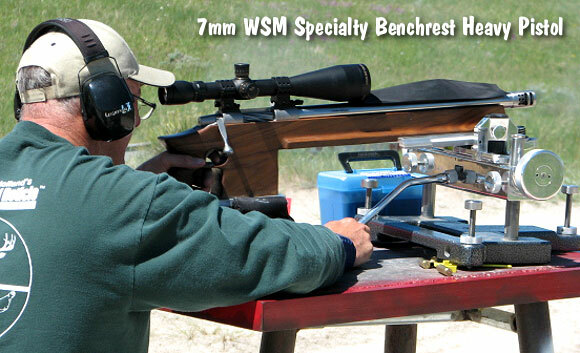 If you’re curious about Ernie’s 7mm WSM handgun, here are the details. Eric Wallace smithed this specialty handgun, as well as the stock. 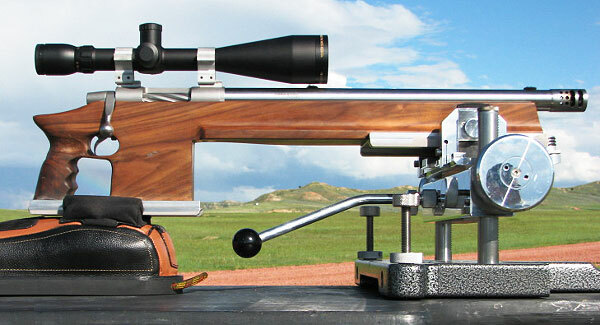 It is a 7mm WSM built on a BAT action fitted with 1:8″ test Bartlein barrel, with Wallace muzzle brake. 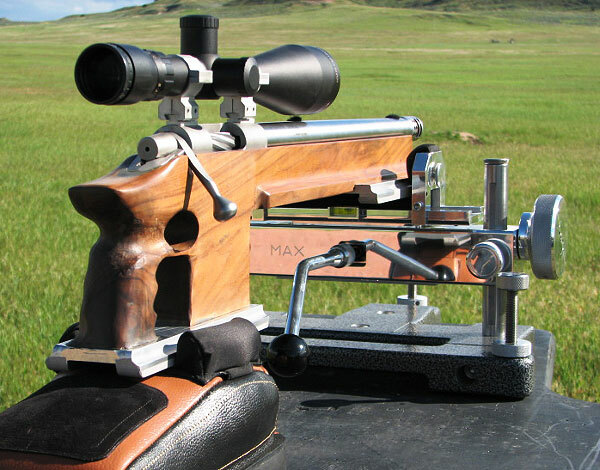 The rig uses a Sightron S-III, 8-32 scope, and Jewel trigger. 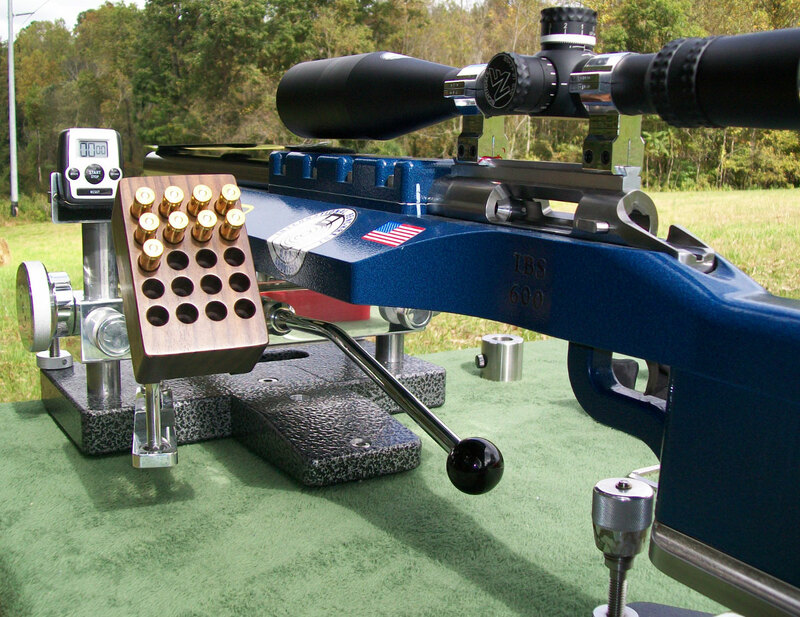 The gun was set up to shoot in the Heavy Pistol Class at the annual Long-range Handgun shoot run by the MOA Corporation. Ernie Bishop tells us: “When I have the time, it will also be used for light gun rifle matches at 600 and 1000 yards. 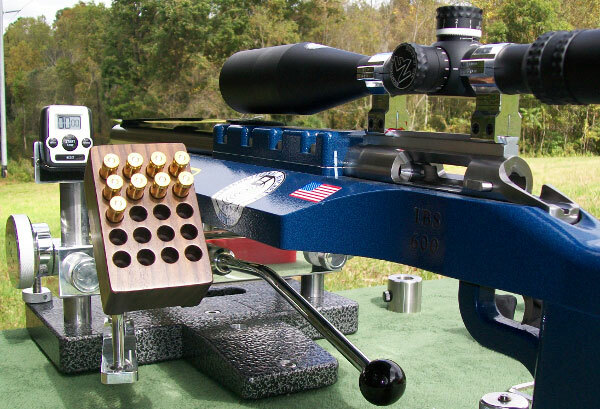 I also have a McRee handgun chassis stock so I can use it for more huntng or field shooting.” Ernie does not have the load “fully tweaked yet”, but he’s currently running H1000 behind 180gr JLKs in prepped Winchester 7mm WSM brass, with Federal 210M primers. 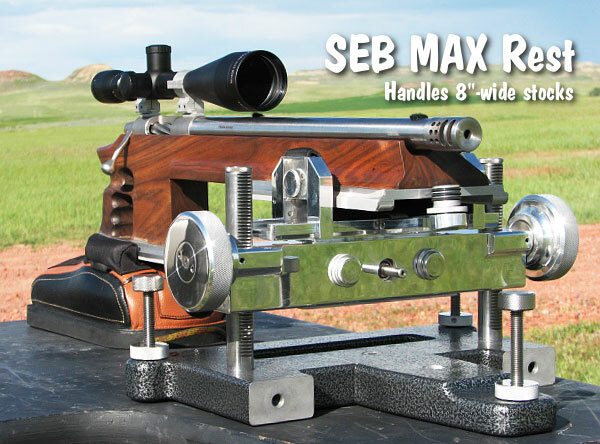 Share the post "New SEB MAX Rest Handles 8″-Wide Forearms — Size Matters"